If you are a registered nurse with an Associate’s Degree or Diploma in nursing and you are interested in getting your bachelor’s degree, BSN@ Home could be your answer. The curriculum is designed for working adults. Almost all required coursework is completed online, so you can earn your degree without having to relocate. Students can complete the program in as little as a year and a half. While an associate’s degree in nursing provides much of the technical and scientific knowledge necessary for safe and effective patient care, the BSN@Home program builds on those skills in a way that stimulates critical thinking and provides the professional perspective necessary for performing in a leadership role. 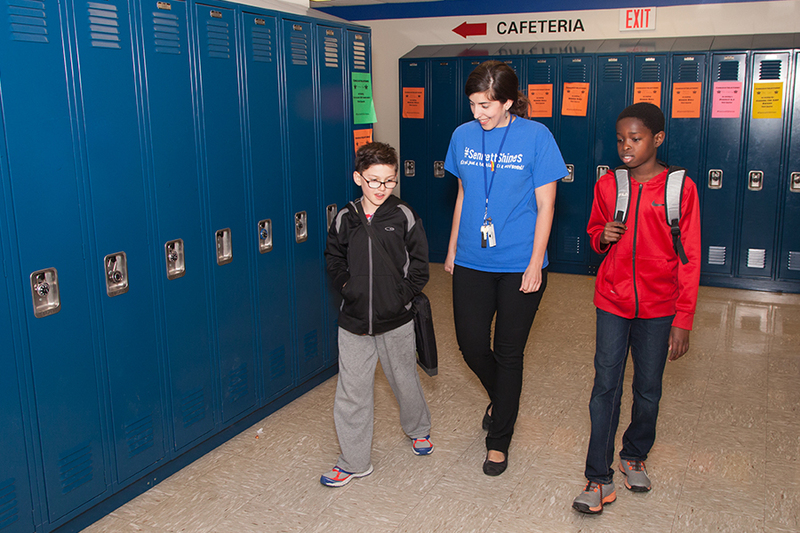 A BSN can open doors to teaching, management, and professional specialization. Many hospitals seeking Magnet designation look for BSN-trained nurses. A BSN is also a prerequisite for admission into graduate nursing programs, including those offered through the School of Nursing. The BSN@Home program is cooperatively administered by six campuses in the University of Wisconsin System: UW–Madison, UW–Eau Claire, UW–Green Bay, UW–Milwaukee, UW–Oshkosh and UW–Stevens Point. Students typically select their home institution based on proximity. All BSN@Home students are required to complete the same core nursing curriculum, but specific admission and degree requirements vary among campuses. Further information about each institution is available on the statewide BSN@Home website. If you choose Madison as your home campus, you will earn a Bachelor of Science in Nursing from the prestigious University of Wisconsin–Madison. You’ll also have access the wide array of educational resources available to all UW–Madison students, including personalized academic advising, online writing support through the Writing Center, and specialized library services for nursing students. Associate Degree in Nursing (ADN) or Diploma in Nursing from an accredited nursing program. Students with an ADN (or equivalent degree) through an international institution are eligible for admission consideration if they have completed the following required coursework. International Nurse Admission Requirements can be downloaded from this page. Cumulative grade point average (GPA): While the average GPA of admitted transfers is a 3.4, UW–Madison will consider prospective BSN@Home you if you have a cumulative GPA of at least 2.5 with steady grade trends and patterns. GPA calculations will include all grades received for repeated courses; the initial grade, as well as grades received in second and subsequent attempts will be included in the GPA calculation. College-Level Course Preparation: You must have completed at least 24 transferable (college-level) non-nursing credits in addition to the nursing classes you completed in your ADN or Nursing Diploma program. High School Record: Regardless of the number of college credits earned, your high school transcript is required and must show proof of graduation. Required Courses: You must have completed one year each of high school algebra, plane geometry, and college-preparatory math, and two high school years or two college semesters of a single foreign language. Requirements may vary if you graduated high school 1991 or prior. Contact the Office of Admissions and Recruitment with specific questions about your academic background. If you have previously completed University General Education and other degree requirements, there are 33 credits of required BSN@Home coursework. Since some credits are taken at the home institution, there are two tuition rates to consider when calculating costs. Visit the Costs & Financial Aid page for financial aid and other important information. Visit the statewide BSN@Home website for more cost information specific to the BSN@Home program. You can begin the program in either spring or fall. Spring term application opens: February 1. Deadlines: Your application is due by 11:59 p.m. Pacific time on the noted deadline dates. Your application will be reviewed by the UW–Madison Office of Admissions and Recruitment. You will be evaluated on both high school and college records. Admission to the program is selective. For this program, there is no supplemental application submitted to the School of Nursing. If you have previously attended UW–Madison as a degree-seeking student, you are eligible to apply to the BSN@Home program by submitting a Reentry Application. If you are a second-degree candidate you should select BSN@Home/Nursing Collaborative Program as your intended major. If you have not previously earned an undergraduate degree through UW–Madison, you will be re-admitted to your previous classification (example: Letters & Science). If readmitted to your previous classification, email the School of Nursing indicating that you’d like to be considered for admission to the BSN@Home program. BSN@Home builds on the foundation of an Associate’s Degree in Nursing (ADN) or a Diploma in Nursing. If you have previously completed University General Education and other degree requirements, it is possible to complete the 33 credits of required BSN@Home coursework in 1½-2 years while studying part-time (6 credits per semester, 3 credits per (optional) summer). The program runs on a traditional fall/spring semester system—summer is optional. The first class requires one half-day on campus. There is one required clinical, which requires students to complete approximately 135 hours. This clinical can usually be arranged close to where students live. Each academic program at UW-Madison has student learning outcomes that describe what students are expected to know or be able to do upon completion of the program. The BSN program’s learning outcomes are listed in The Guide. Undergraduates interested in careers as school nurses can enroll in the 18-credit School Nurse Certification Program and become eligible to apply for licensure through the Wisconsin Department of Public Instruction. BSN@Home students may complete some of the requirements concurrently with their degree work and complete the remainder after graduation by re-enrolling as University Special students. Call or email with any questions you have—we are glad to help! is accredited by the Commission on Collegiate Nursing Education. 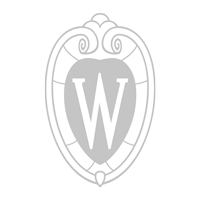 Feedback, questions or accessibility issues: vardaman@wisc.edu.